05.06.2014 is World environmental protection day. 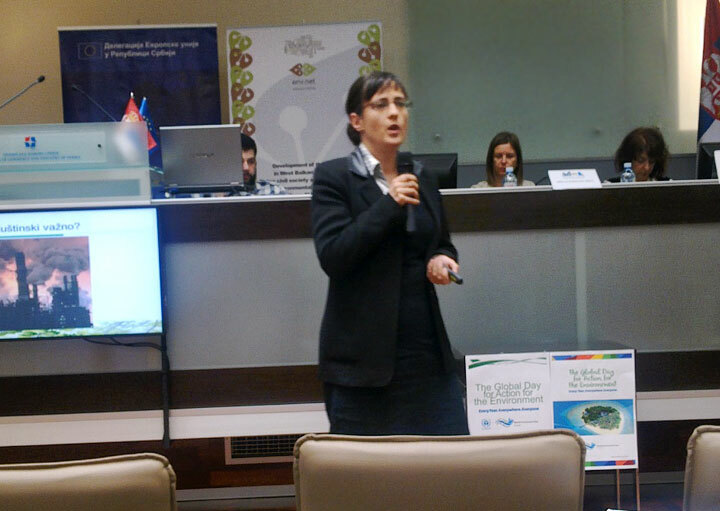 On June, 05.2014 (World environment day), tenth Regional conference Environment to Europe, was held in Belgrade, Serbia, with more than 200 participants (organised by Environmental and sustainable development Ambasadors). Main topic was: Chapter 27 of EU integration/environmental protection. One of the plennary lecturers was Dragana Petrovic’s lecture: EMAS – Welcome to EU!. Within the conference, handing out of Recognitions for “Environment to Europe” was prepared; Dragana Petrovic, Victoria consulting was awarded by Ambassadors for sustainable development, with Silver-green recognition for support of Environment to Europe process. – Stana Božovic, State Secretary for Environment, Ministry for Agriculture and Environmental Protection.